In the wake of the controversy over Amy Chua’s new book “Battle Hymn of the Tiger Mother,” I decided it was the right time to offer my mothering philosophy to the world. Ms. Chua, a Harvard educated Yale Law Professor believes that the rest of us are frantically trying to figure out how Asian parents raise such high achieving children. She is ready to share the secret with us: She is a “Tiger Mother,” a mother who bares her teeth and growls all manner of threats, taunts and jeers at her children. Here’s my secret: I am a “Koala Mother.” I’m warm and fuzzy and offer a safe place to escape from the pressures of the world. In contrast, as a Koala Mother, I didn’t merely let my four children do all those things; I encouraged them. And it gets worse: the TV was on in our house from dawn to dusk and video games were the order of the day when homework was done. In contrast, as a Koala Mother, I would never taunt my children (I would be ashamed of myself if I did) and I would do my utmost to protect them from taunting from others. Back at the piano, Lulu made me pay. She punched, thrashed and kicked. She grabbed the music score and tore it to shreds. I taped the score back together and encased it in a plastic shield so that it could never be destroyed again. Then I hauled Lulu’s dollhouse to the car and told her I’d donate it to the Salvation Army piece by piece if she didn’t have “The Little White Donkey” perfect by the next day. When Lulu said, “I thought you were going to the Salvation Army, why are you still here?” I threatened her with no lunch, no dinner, no Christmas or Hanukkah presents, no birthday parties for two, three, four years. When she still kept playing it wrong, I told her she was purposely working herself into a frenzy because she was secretly afraid she couldn’t do it. I told her to stop being lazy, cowardly, self-indulgent and pathetic. Rather than demanding that my children achieve high grades, I pointed out that it was up to them to determine what they would make of their lives. Their father and I had made our choices: we had already finished high school, college and graduate school because it was very important to us. If it was important to them, too, they would work hard so that they could always choose what they wanted instead of being forced to accept the limitations of bad grades. I plead guilty! 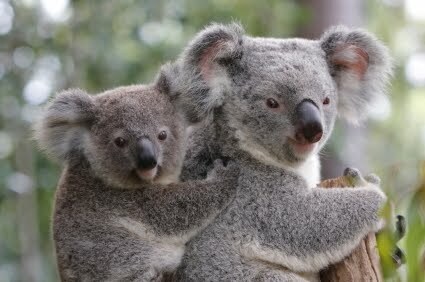 As a Koala Mother, I think that a child’s inner strength is built with support, not with taunts and jeers. I figure that the world will send each of them enough disappointments and difficulties; I want to build their inner strength so they can meet those disappointments and difficulties, not tear them down so they can start practicing their coping skills as toddlers. What Ms. Chua does not seem to understand is my commitment to being a Koala Mother is not because I’m afraid of being a Tiger Mother. It’s because I think Tiger Mothers are self-absorbed narcissists. They have serious problems with boundary issues; apparently they think that their children are extensions of themselves, and exist to advertise the superiority of their Tiger Mothers. I, and mothers like me, recognize that my children are independent human beings with needs and desires that might be different from mine. I had the opportunity to make my own choices and I am very happy with them. They deserve the opportunity to make their own choices and choose their own path to happiness. Oh, one other difference between Ms. Chua and myself: we have entirely different goals. She’s aiming for children who have all the outward marks of professional success. I’m hoping for children who are happy with what they choose, regardless of whether my friends will be impressed. It’s ironic then, that Ms. Chua’s children are not really more successful than mine. True, none of mine played at Carnegie Hall, but they’ve attended top flight universities, are going to graduate school or have a highly technical, high paying job. And the best part is their accomplishments are their own. No, let me amend that, the best part as far as this Koala Mother is concerned when they are happy with their own choices. ← What is defensive medicine?